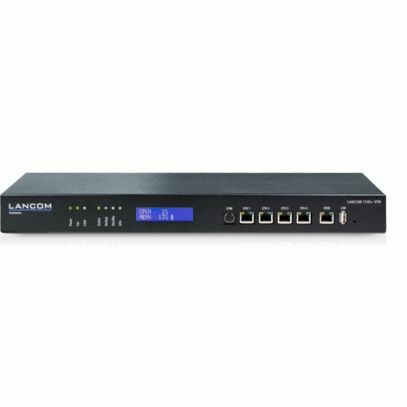 The LANCOM 7100+ VPN is a central-site VPN gateway that provides VPN connections for up to 100 sites as standard, which is upgradeable to 200 with the LANCOM VPN Option. The LANCOM 7100+ VPN implements large multi-service IP network structures with the highest levels of security, reliability and performance. The right choice for secure, reliable and sustainable networking solutions "Made in Germany".